I have been seeing things with Pompadour a lot recently, and wasn’t surprised that when I looked I had it lurking in my collection of 5000+ fonts. I’ve been looking to see if I can find a big, fat LETTER font in the same style but not found anything that hits the exact right matching note. 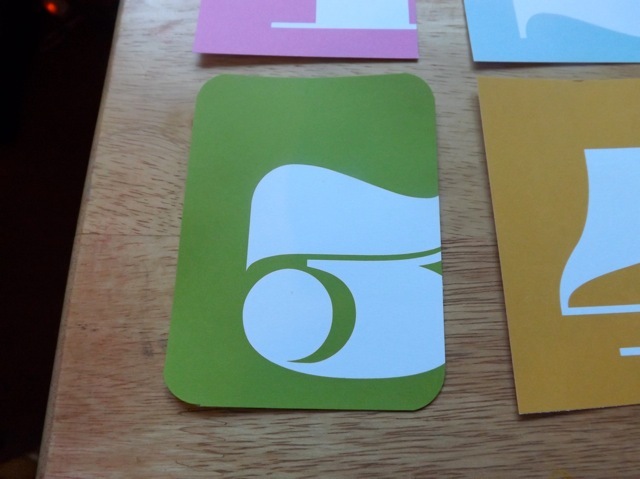 So I went ahead and made these little number cards anyway. There is a WHITE version and a BLACK version. You can very easily make your own, even in something like Word, just by printing the font on any colour background you like, and in any colour you like! And I also think they would look fab printed on lightly patterned paper (or cut out and laid on to patterned paper, if you want them WHITE or really, really black) or the numbers cut out (like a stencil) then backed with patterned paper, if you want to go to the effort. I’ll def. keep looking for letters to match. because I just love the big, round-y fatness of it. I like the download at the link because he has added a full stop to the font, which is helpful – *I* didn’t use it, but you might want to. It’s a bit dark here in my office so the colours aren’t very true in the photo – close enough you can get an idea, tho’. The NINE in particular is lighter, and the SIX is slightly more lagoon-blue. 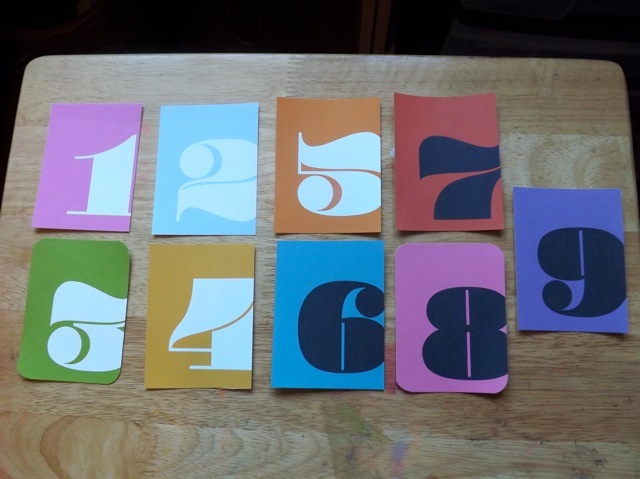 I’ve tried to position them so corner-rounding is not a problem, and won’t interfere with the printed numbers. There is a little bit of room for you to add some journaling, if you like, or a word, like Anniversary or Birthday.